Thank you for attending our lunchtime concert last Friday in glorious sunshine. 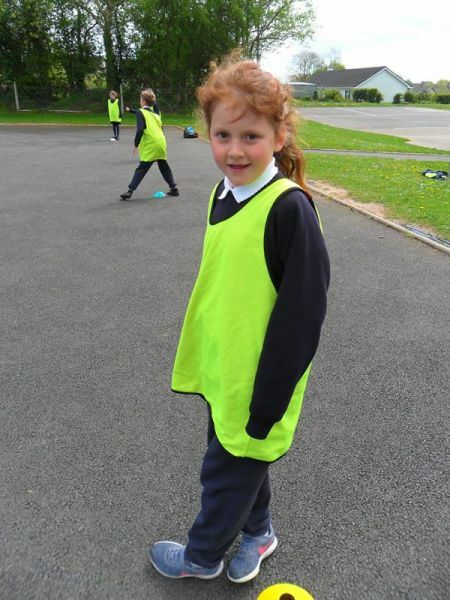 We had a very enjoyable Active School Week as we undertook activities on our school grounds and on the Astroturf. 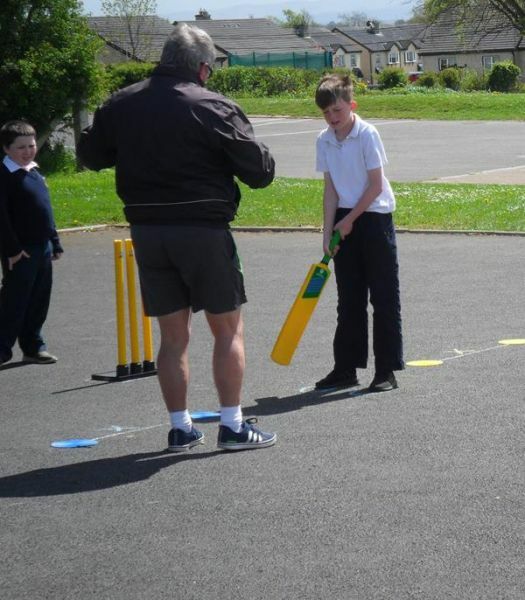 We were delighted to welcome back past pupil Jack Nicholas last Friday. Jack, along with Pádraig Harnett, son of Nóirín is on the Limerick Minor team. They play in the Munster Minor Hurling Final next Sunday, July 1st against Tipperary in Semple Stadium, Thurles and we send Jack and Pádraig our best wishes for their success. A very big thank you to our Parents’ Association for the goody bags they provided for all the children last Friday. They were much appreciated by all! Congratulations to Third & Fourth class and their teacher Nicholas O’Brien on their crop of vegetables which they enjoyed for their lunch last Friday. The children made salad sandwiches which included lettuce, spinach and chives which were harvested from the growing pots. Some of the children will bring home strawberries, potatoes and turnips which are not yet ready for harvesting. They really enjoyed being involved from the seed to sandwich process. Many books on our book lists are available secondhand from Gateway to Education, a charity shop on 9 Wickham Street in Limerick. We say farewell to our Sixth class at this mass. Please join us if you can. 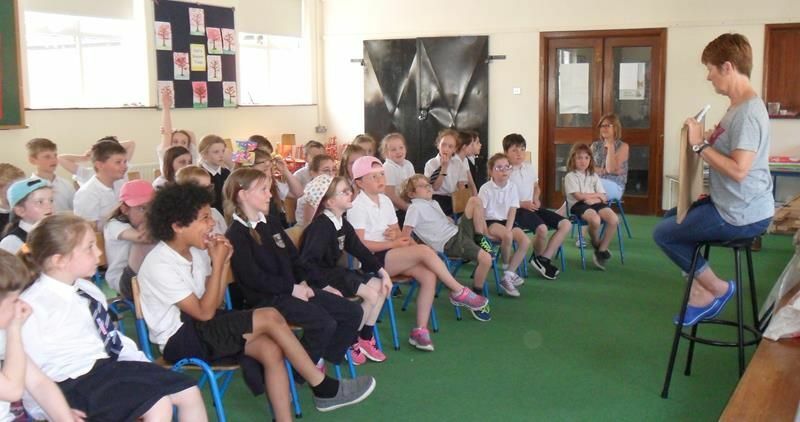 Thank you to all our children, parents and staff for their work over the past school year. 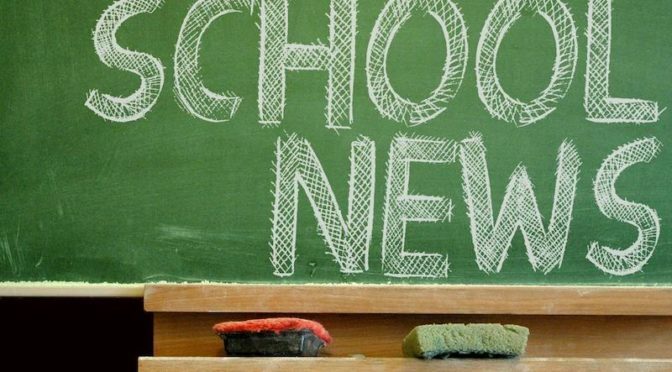 School holidays begin on Tuesday June 26th at 12 noon. Have a lovely, sunny and safe summer. We return on Wednesday August 29th. 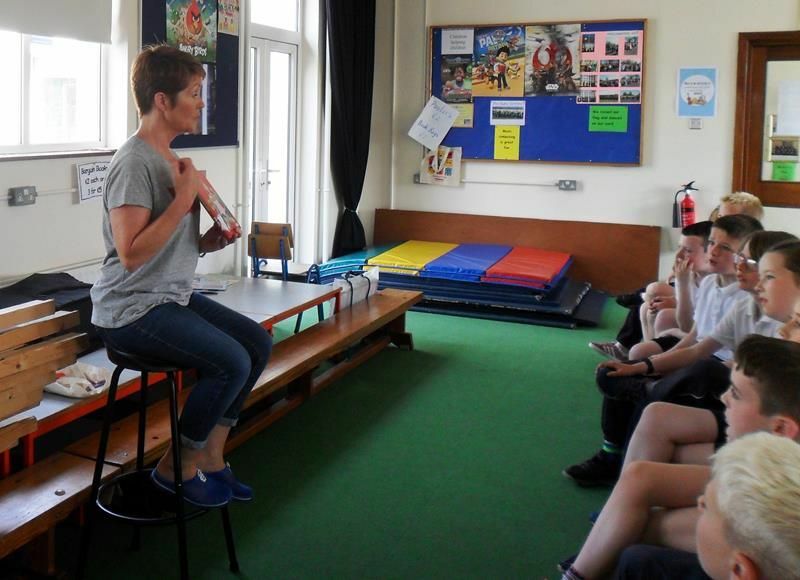 The children enjoyed storytelling and question and answer sessions with author Róisín Meaney on May 30th. 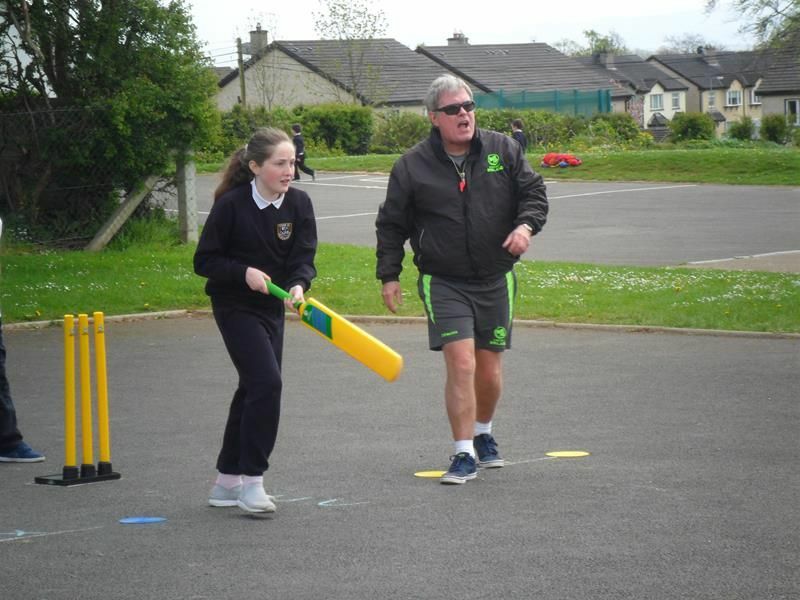 The children from 2nd to 6th were delighted to be introduced to the game of cricket by Jim Doran from Cricket Ireland on May 8th. 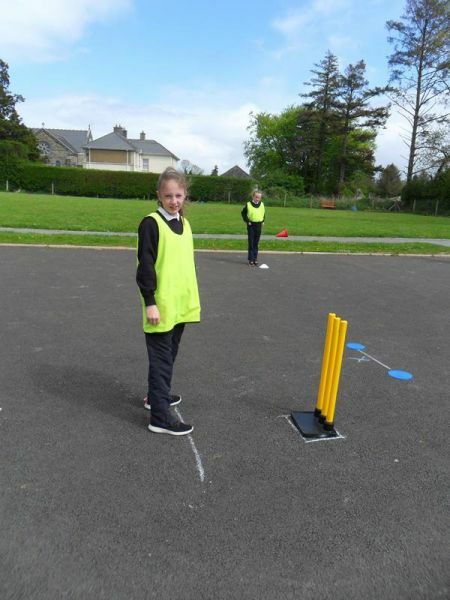 Active School Week: takes place next week June 18th-22nd. 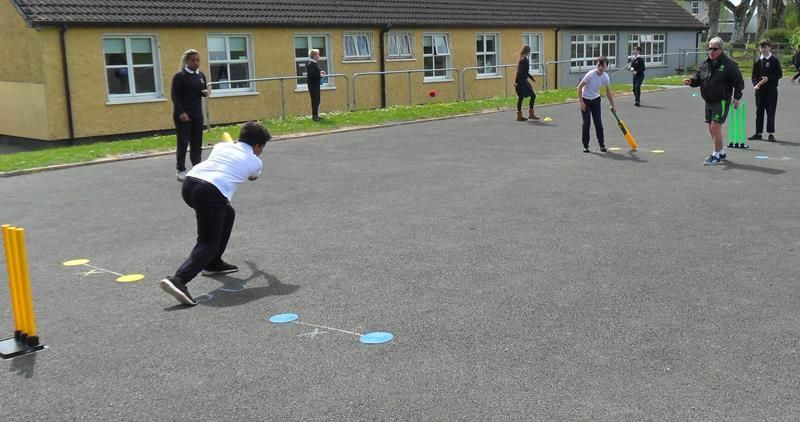 The pupils will engage with physical education activities on our tarmac yard, our green areas and the Astroturf. School tracksuit may be worn each day next week. 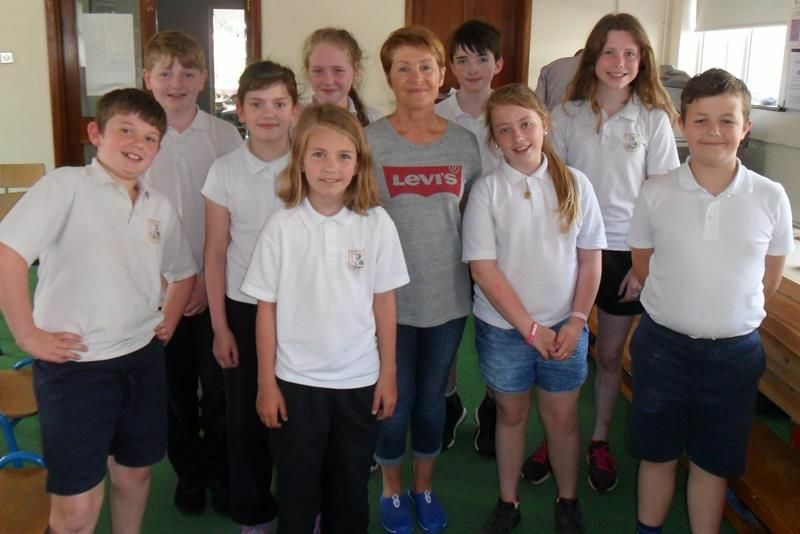 Lunchtime Concert: The pupils of Second class, Ms. Hickey’s Fourth and Fifth class and Sixth class will perform a selection of music, song and dance on our tarmac yard by the running track next Friday, June 22nd at approximately 2.00pm (weather permitting). We would love if you could join us. 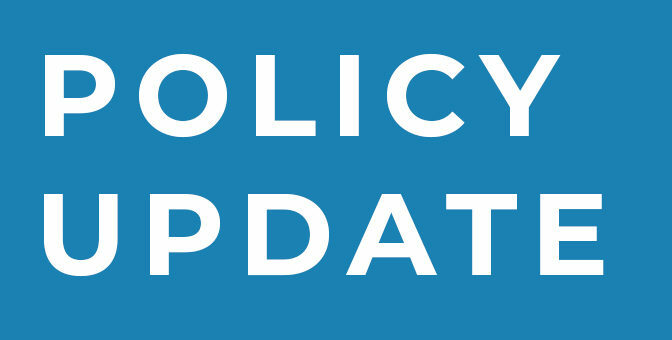 There will be a half day next Wednesday, June 13th for staff training for Child Safeguarding. Classes will end at 12.30 that day. 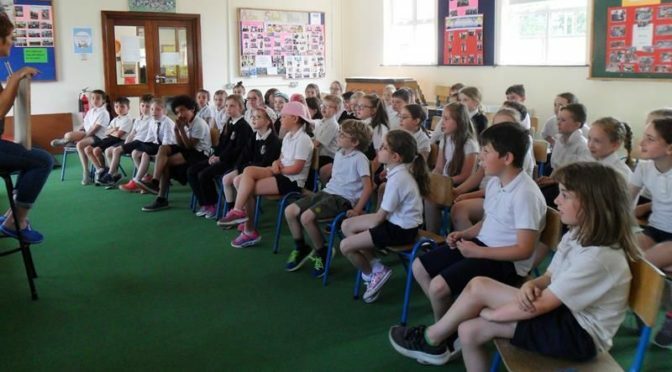 Sixth class enjoyed a school tour to Spike Island and the Titanic Experience at Cobh on May 29th. Second class pupils are off to UL for activities in the Adventure World Camp today. 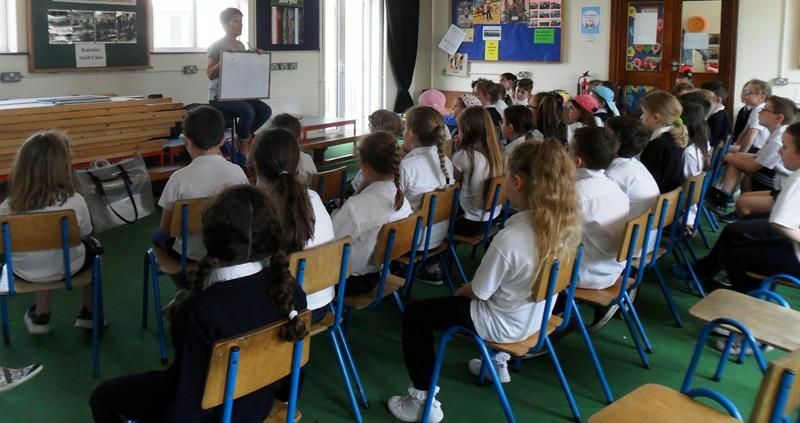 First class will have their tour to Shannon Leisure Centre and visit the library in Cappamore on Friday June 8th. 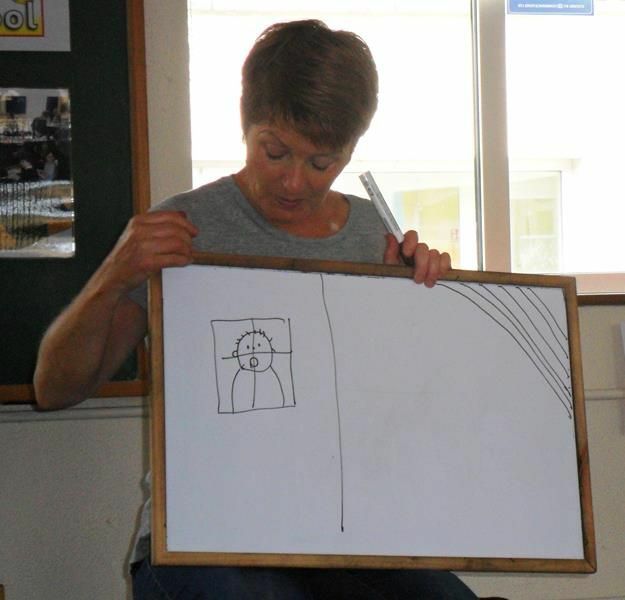 Junior and Senior Infants will go to the Old Rectory in Croom on Thursday June 14th. 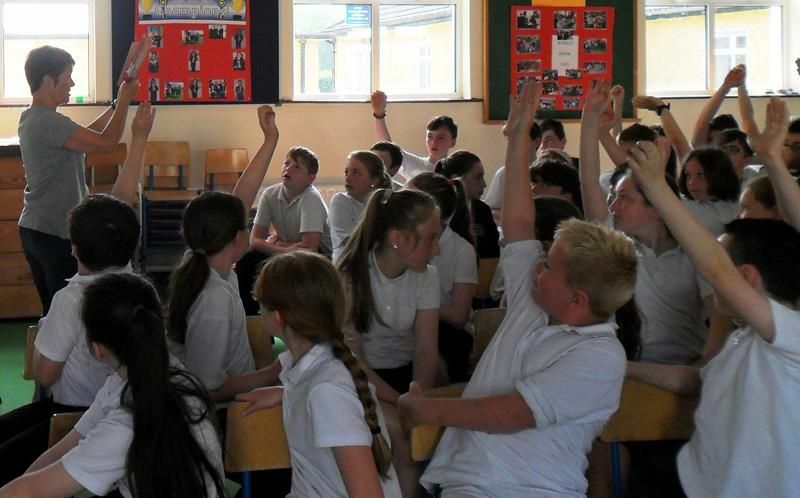 Fourth and Fifth class will have their tour with Let’s Go in Mallow also on Friday June 15th. Best wishes to all our past pupils as they undertake the State examinations today. First Holy Communion: Congratulations to the girls and boys of Second Class who received their First Holy Communion last Saturday, May 12th. 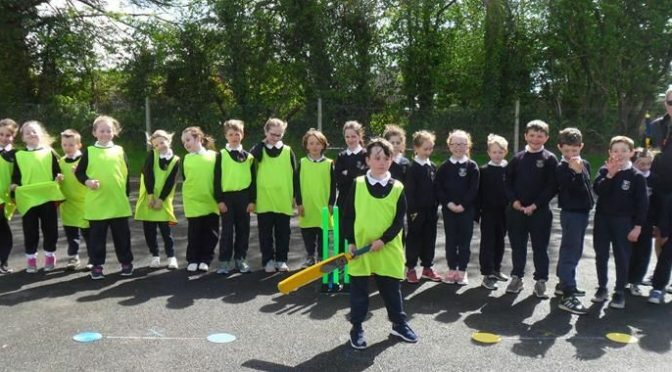 They were: Adam O’Riordan, Aideen Kinsella, Annabelle Harvey, Cian Long, Cillian Holmes, Conor Bourke, Darragh Meehan, Ella Naughton, Eve Delaney, George Crowe, Holly Ryan, Jaime Collins, James Hartnett, Jasmine Moore, Joseph O’Brien, Katie Belle Clohessy, Leah Harte Chadwick, Lily Bao O’Donovan, Luke Rainsford, Ramona Kennedy, Sinéad Coleman, Sophie Gough. We thank their teacher Elizabeth O’Connor and our two priests, Fr Ryan and Fr. Brennan. Thank you also to the boys and girls who came to serve and to sing in the choir. 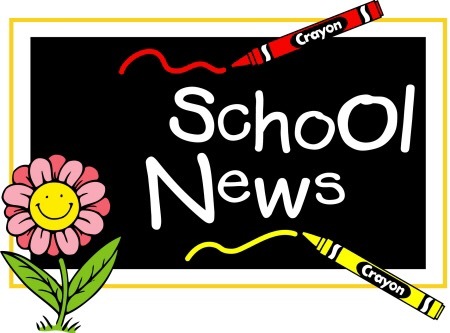 Book Fair: The School Book Fair will run from Wednesday May 16th to Tuesday May 22nd. We will have a large selection of books on display in the G.P. Room. These books will be available to the children to view with their classes. If children wish to buy a book they may do so on Monday and Tuesday May 21st and 22nd. Our school can earn free books for every book sold at the Fair. Prices start from €3.70. 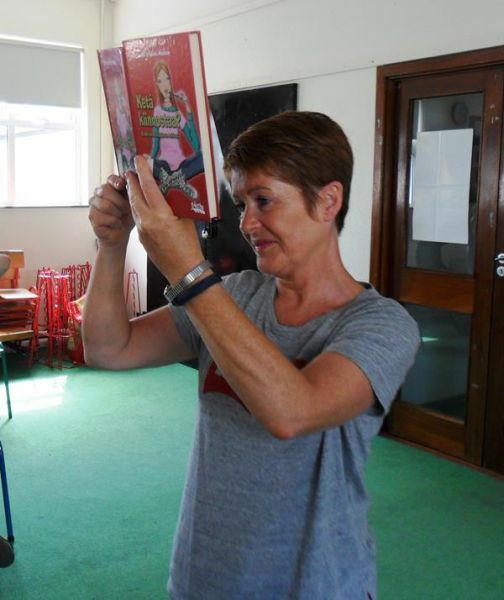 Parents are welcome to view and purchase the books on Monday evening between 3-4pm. Incredible Edibles: Third and Fourth class are continuing their work on the Incredible Edibles programme. We are looking forward to their crop! 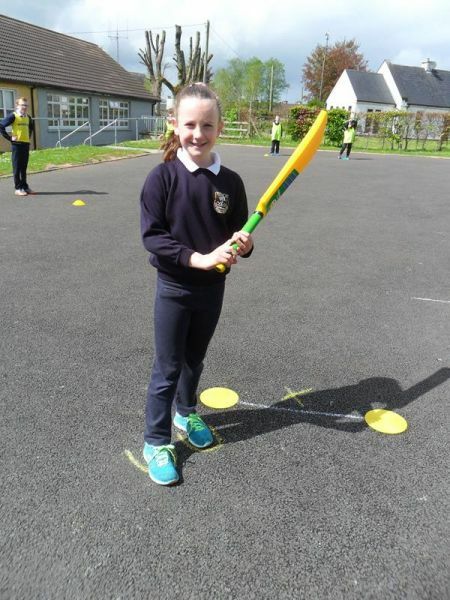 Scoil Mhuire N.S. 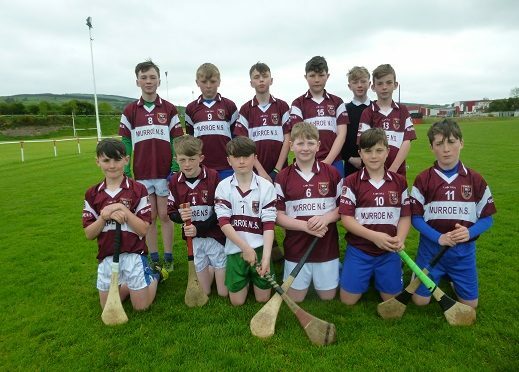 competed in the East Limerick Cumann na mBunscol hurling competition on Monday 14th May in Doon. The boys played four games in total on the day. 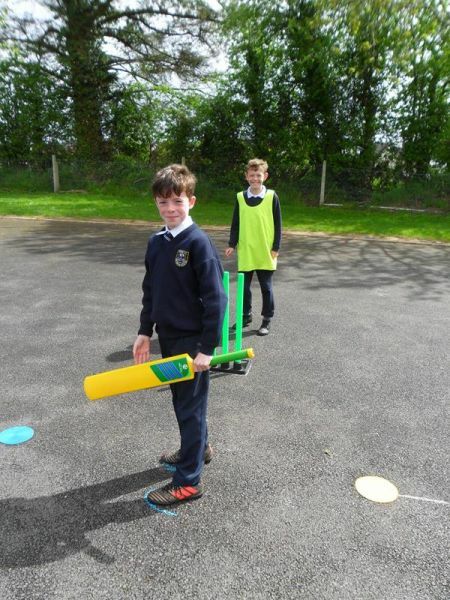 They beat Nicker and Bilboa and they lost to Caherelly and group winners Oola. 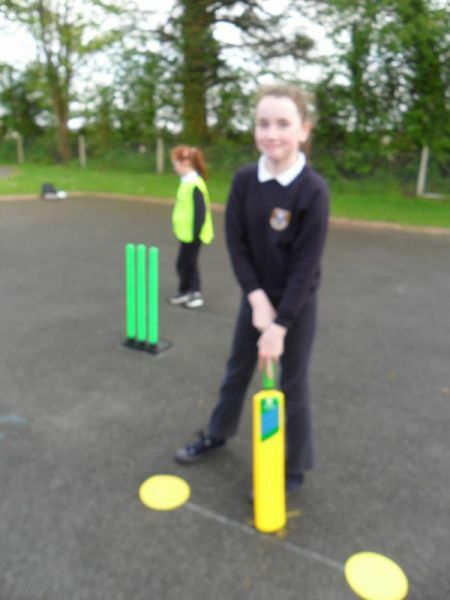 They played sportingly and fairly throughout and they represented the school admirably. 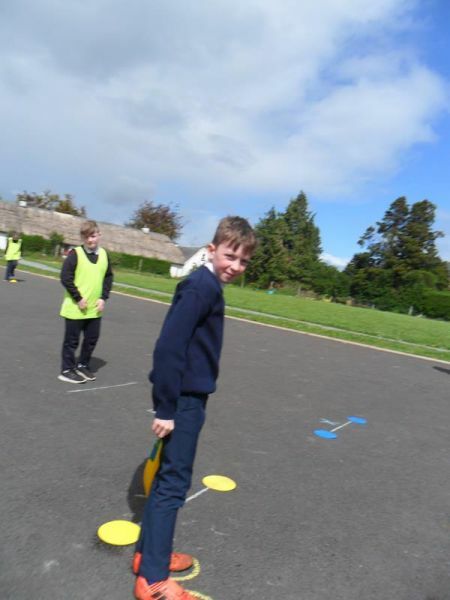 A special word of thanks to the 6th class boys Joe, Conor, John and Emmet who have played so well and so wholeheartedly for the school over the last couple of years in both Gaelic football and hurling. Panel: Joe Shanahan, John O’Brien, Emmet Crowe, Conor Barry, Cian Finch, Oisín Holmes, Matthew Walsh, Luke Jordan, Darragh Bourke, Tommie Cusack, Ben Ross. 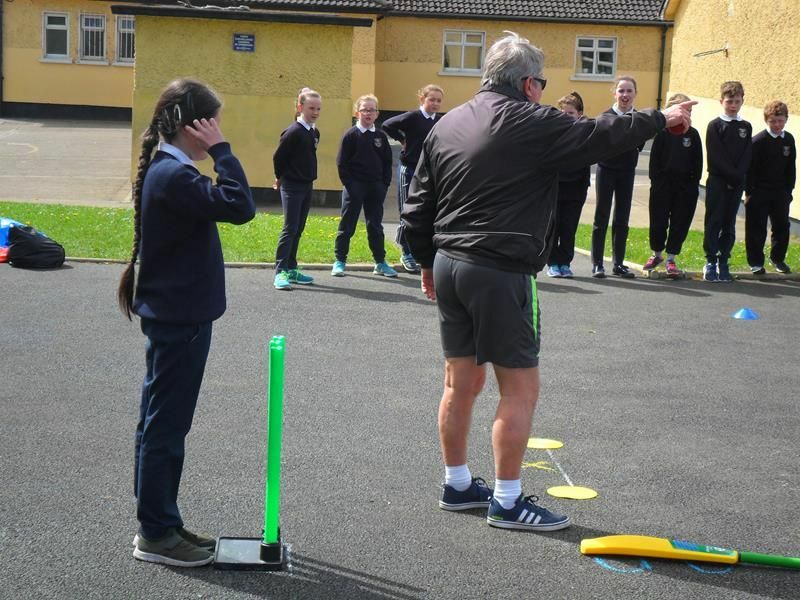 Scoil Mhuire N.S. participated in the second round of the FAI 5-a-side soccer tournament in the Sean Choill sports complex in Parteen on Thursday 12th April 2018. 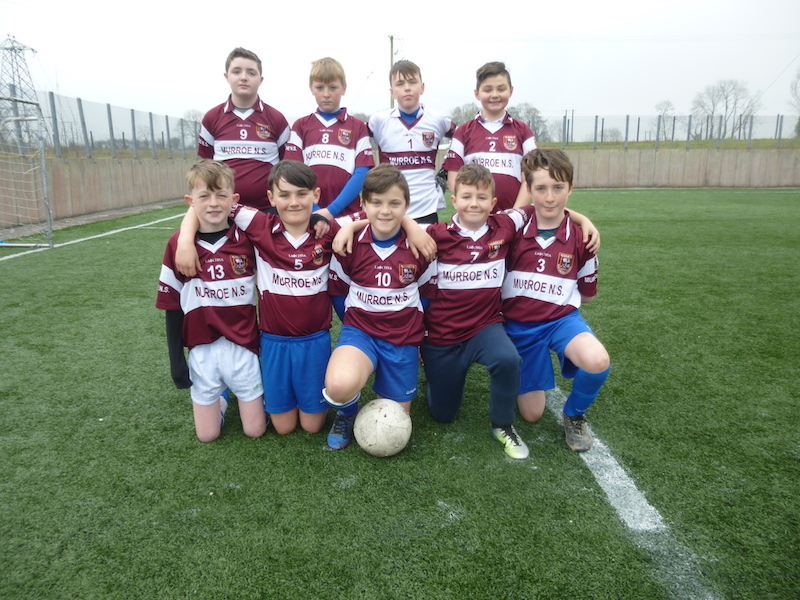 The boys from Scoil Mhuire played three matches in total. 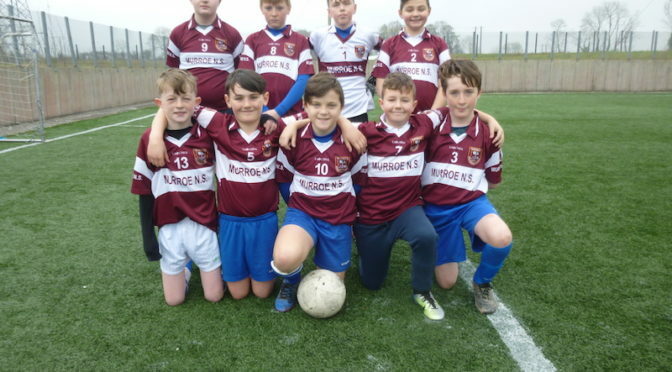 They won their first game against Gaelscoil Sáirséal 4-0. They beat St Patrick’s 3-2 in their second encounter with a last second goal. 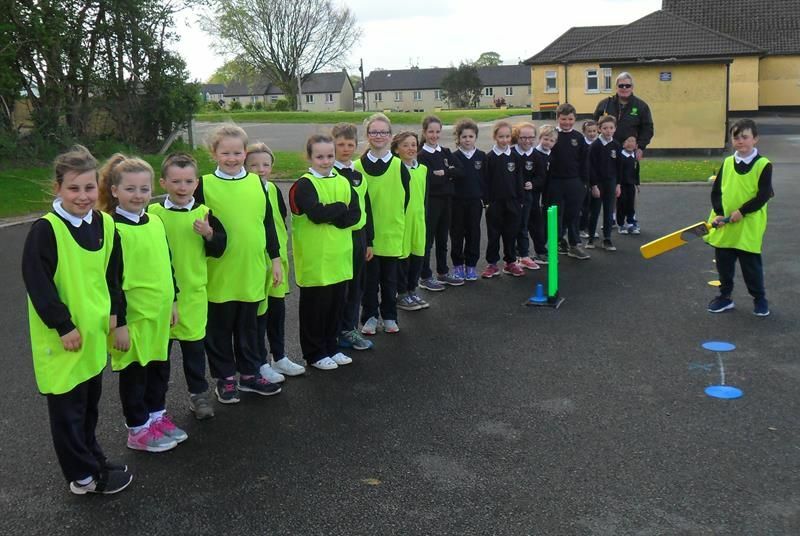 Their final match was against Gaelscoil Chaladh an Treoigh. After an exciting and very close match which could have gone either way, the boys from Murroe eventually lost on a scoreline of 3-1. 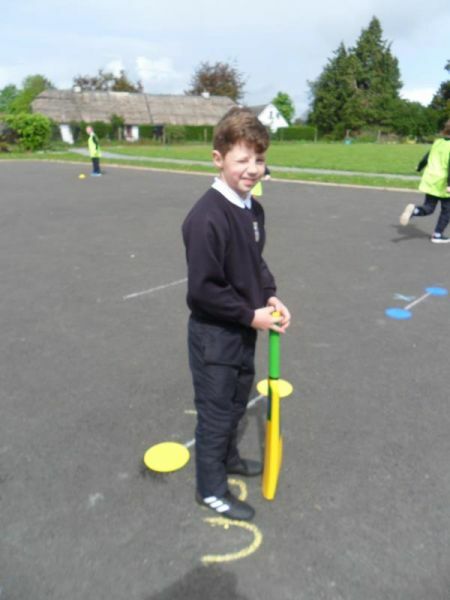 The boys played sportingly and skilfully throughout the competition and were wonderful representatives of our school. With the exception of Joe Shanahan in sixth class all of the boys will be eligible to compete again next year. Best wishes also to team member Jamie Long who missed out today due to an unfortunate wrist injury. We wish Jamie a speedy recovery. The panel was: Joe Shanahan, Vijay Power, Jamie O’ Riordan, Luke Jordan, Cian Finch, Oisín Holmes, Matthew Walshe, Darragh Bourke, Seán McNamara. Manager – Nick O’Brien.